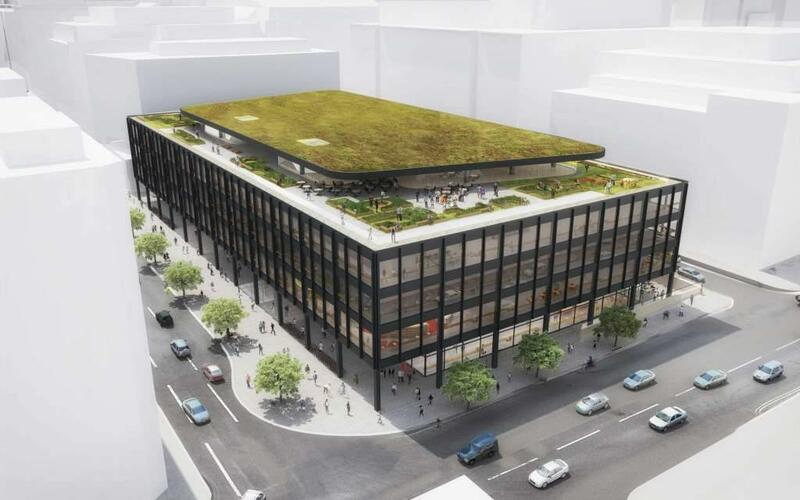 Architect Ludwig Mies van der Rohe developed the current design for Washington, DC’s central public library, which opened in 1972 as a dramatic, all glass and steel building located at 901 G Street, NW. In 2014, Mecanoo Architecten and Martinez + Johnson Architecture were selected as the winning team from a design competition to reinvigorate the library and shepherd it into the modern era. Mecanoo’s scheme preserves its iconic, modern façade and minimalist ‘Miesian’ grid, but reimagines interior and exterior spaces through contemporary materials, planting, seating, and event opportunities. In 2016, OvS was selected to cultivate and expand upon the original concept, developing the project’s landscape through construction. Two extensive green roofs, one covering a newly-constructed upper level deck, total over 26,000 square feet. 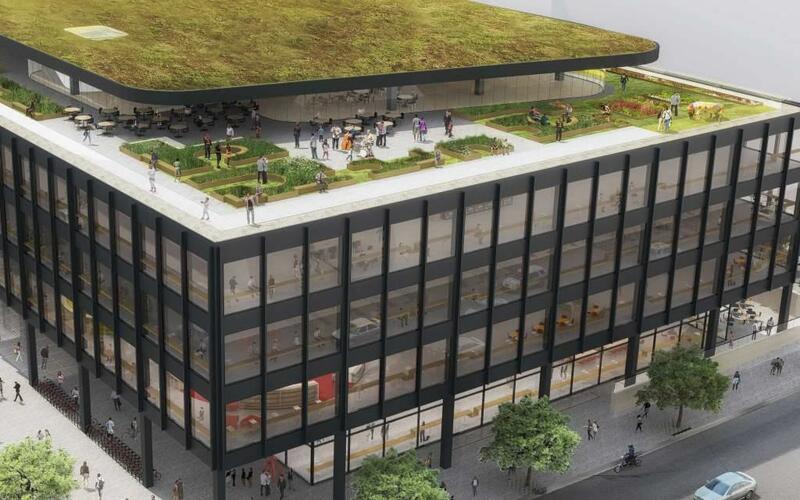 Their drought-tolerant sedum planting will capture stormwater, mitigate the heat island effect, and serve as a viewing garden, as these landscapes will be seen from the surrounding (and taller) office buildings. At the ground level, the narrow, back-of-house terrace is expanded by the removal of a parking garage ramp. 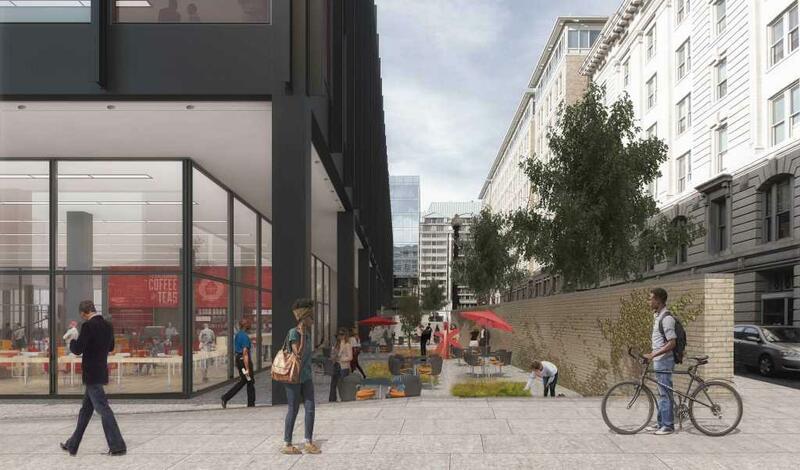 This new, exterior outdoor café space will include shade-tolerant planting, amphitheater seating, monolithic granite benches, and informal café tables and chairs. Along the public right-of-way, street trees are maintained but their planters are expanded to contribute landscape to DC’s public realm. Re-installation and repair of large granite pavers surrounding the building reinforces a loyalty to the beauty of van der Rohe’s original design, complementing the library’s enhancement with new shapes, colors, textures, and materials. A 17,250 square-foot exterior amenity terrace on the 5th floor provides ample space for private events and enhances educational opportunities for the library’s younger users. The space is shaped by large-scale, intensive planters with floating wood slat benches, and they showcase a Native Pollinator Garden, Garden of the Senses, and Seasonal Viewing Garden. The renewal of this iconic institution will animate the everyday experiences of users, staff members, and contribute to the enrichment of the greater urban community.